France has been an international destination for many years and it’s not hard to imagine that you may need to transport your personal items if you are moving or visiting the country. Much of what you ship to France will depend on your situation. Are you just making a trip for six months or studying in Marseille? 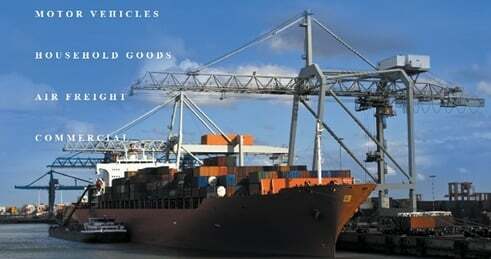 You could be taking a new position in Paris and want to import your car or ship your personal effects. Whatever your need may be, Schumacher Cargo has plenty of experience shipping international cargo and moving goods overseas. Over 300 Americans alone used our international shipping services to France last year to transport goods and relocate to this amazing country! WThere aren’t many commodities that we can’t ship internationally. As we mentioned, we do quite a few car shipments to France every year along with household relocation. So whether you’re relocating the whole family to Bordeaux or want to transport your yacht to the French Riviera, Schumacher makes the process easy for you. What Will it Cost to Ship Your Goods? This is a complicated question and it really depends on what type of item you will be shipping, where you are located in the U.S, and to which port you will be shipping your goods in France. Because there are so many factors which affect shipping costs, we recommend you contact one of our professionals to get a free shipping quote to your French destination at 800-599-0190. Or you can fill out our online form in about 5 minutes and we will review your information then contact you with a customized quote. *You may be shipping or moving items somewhere else. These are the major destinations we ship to in France but there are also other small towns and cities we can reach. It is 5,645.15 miles from Los Angeles to Paris.